A game of wits, words, and pirates! Everybody knows that a good pirate not only needs fast reflexes and a loyal crew, they also need a tongue sharper than a brand new cutlass! 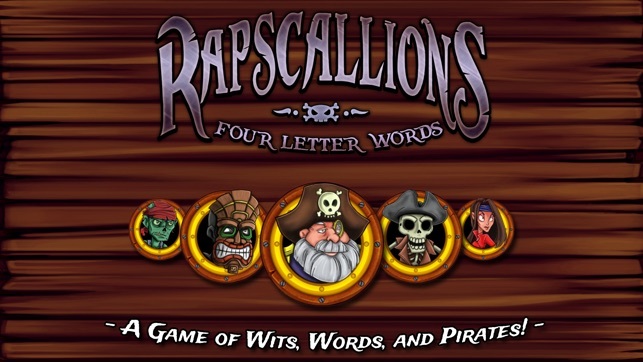 Rapscallions: Four Letter words is a simple word game that challenges would-be pirates to guess as many four-letter words as they can before the sands of time runs out. Do you have what it takes to battle against 30 cunning linguists to become the ultimate sharp-witted seafarer? The aim of the game is to guess as many four-letter words as possible before the time runs out. 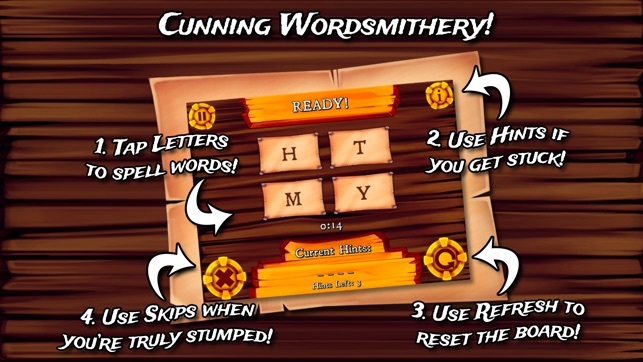 Tap the letters to spell out a word, use a handy hint if you get stuck, or skip the word entirely if you're as stumped as a deckhand with a wooden leg! In Quick Play Mode you can partake in a quick game lasting 30, 60, or 90 seconds. 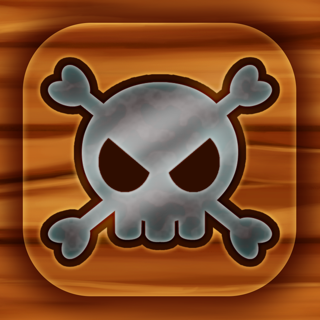 In Campaign Mode you'll battle through 30 increasingly-challenging levels, unlocking new pirates as you progress. If you own an Apple Watch® you can even play the game from the comfort of your own wrist! It's sorcery, we tell ya! 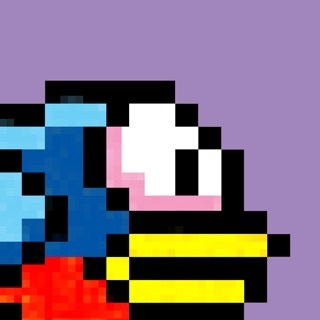 For more information, please refer to the How to Play screens within the game. 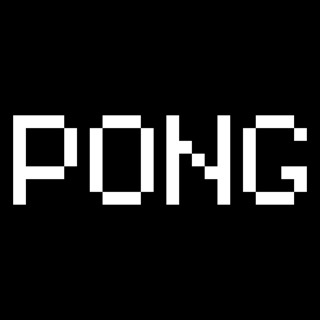 - A fun and frantic test of vocabulary! - 30 dastardly cunning pirate enemies! 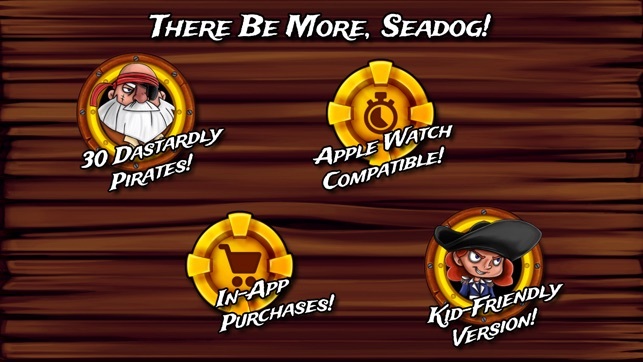 - Multiple Playing Modes, including Quick Play and Campaign! - Three time settings to suit players of any skill! 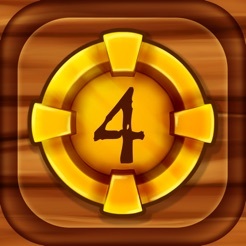 - A bevy of In-App purchases you'll actually like! © 2017 Funky Finger Productions Inc.
Dare the Monkey: Go Bananas!